Do you want to watch Turning Point on the go? Have you found that your daily commute does not align with Turning Point Radio broadcasts? "I love having the app so that I can listen to it at a convenient time or go back and re-listen so that I could get a better understanding." The mobile app allows you to connect with Turning Point at your convenience. Watch Turning Point Television broadcasts on your tablet device or smartphone anytime, anywhere! Gain access to exclusive Jeremiah Study Bible articles and study materials for every book of the Bible that are not available in the print version! 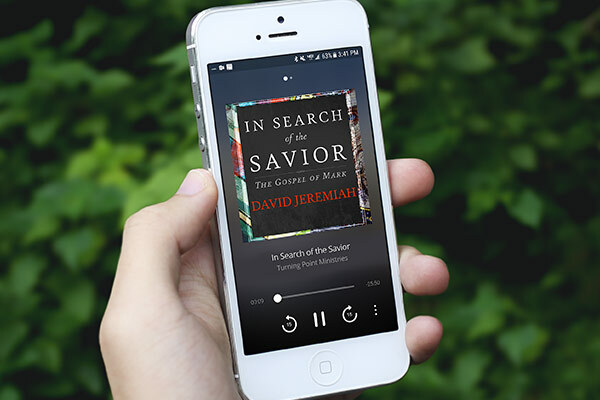 Engage with God’s Word on a daily basis through Dr. Jeremiah’s insightful devotional readings. Never miss a radio message again with on-demand access to archived messages. Connect with Turning Point and our social media community on Twitter, Facebook, and YouTube. Listen to Turning Point Radio on your smartphone through your car Bluetooth or AUX connection and make your commute time worthwhile.